An Iranian Irbi News broadcast from 17 August 2016 (27 Mordad 1395) reported on the production of an Iraqi unmanned ground vehicle (UGV) named ‘Al Robot’. 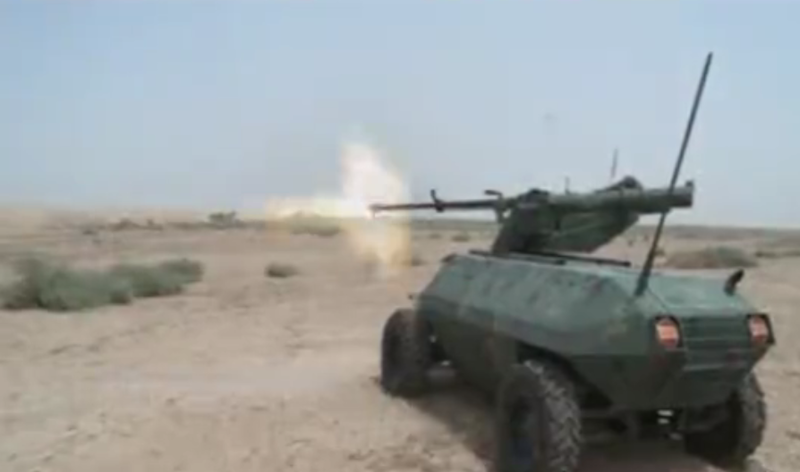 The broadcast shows images of the four-wheeled vehicle driving and firing from a static position. 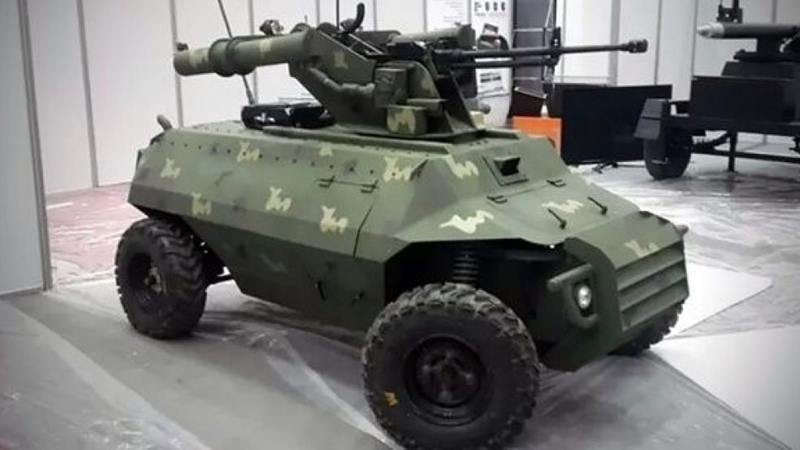 The Al Robot UGV was allegedly developed and built by two brothers affiliated with Iraqi Popular Mobilization Units (PMU), and was first displayed during the Iraqi Defense Exhibition (IQDEX) in early 2016. The current operational status of the UGV is unknown, but it was anticipated to be entering production shortly. According to news sources, it is envisioned that the vehicle will be utilised by Iraqi forces during urban operations, such as the assault on Mosul. The operational prototype seen in the Irbi News broadcast has four wheels and features a V-shaped hull. The UGV is significantly smaller than most equivalent manned vehicles. 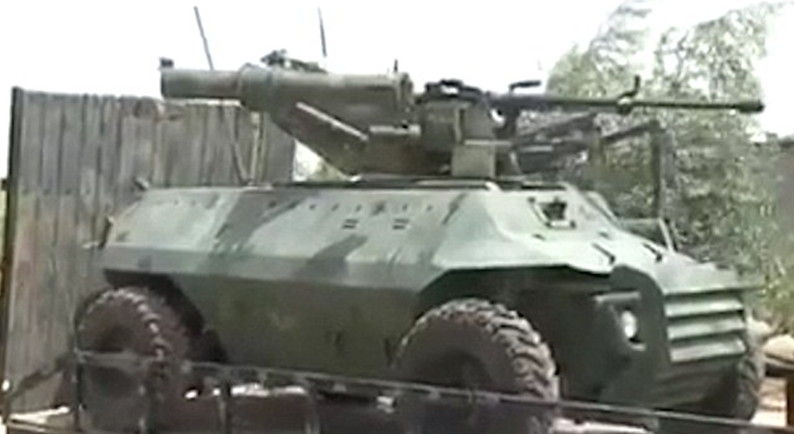 It is armed with an overhead weapons station featuring a W85 type heavy machine gun (HMG) and two stations for unguided rocket launchers or guided missiles. The weapon station can be elevated or depressed +/- 45 degrees, and traversed 360 degrees. Such flexibility of movement is important in an urban combat environment. The vehicle is fitted with four static cameras to allow for the remote operation of the vehicle and the transmission of reconnaissance footage. The system is typically operated by two or three remote pilots. It is stated and shown in the broadcast that the UGV can be operated from a laptop at a range of up to 1 mile from the operator. Operation of the vehicle is achieved through the use of the static cameras, whilst the weapon station features a thermal imaging device for targeting. No information is shared regarding the vehicle’s engine, maximum speeds, or range.